Work on our # 10 Rossdale Turbine display is complete except for a few minor touches, but there is still a lot of other work to keep us busy. Our volunteers have completed the video of the Edison Bipolar Dynamo to be used on our website and during museum shows. Also we are working on a title and description for a "YouTube" presentation. We are busy working on updating our website. The home page photos have been updated. 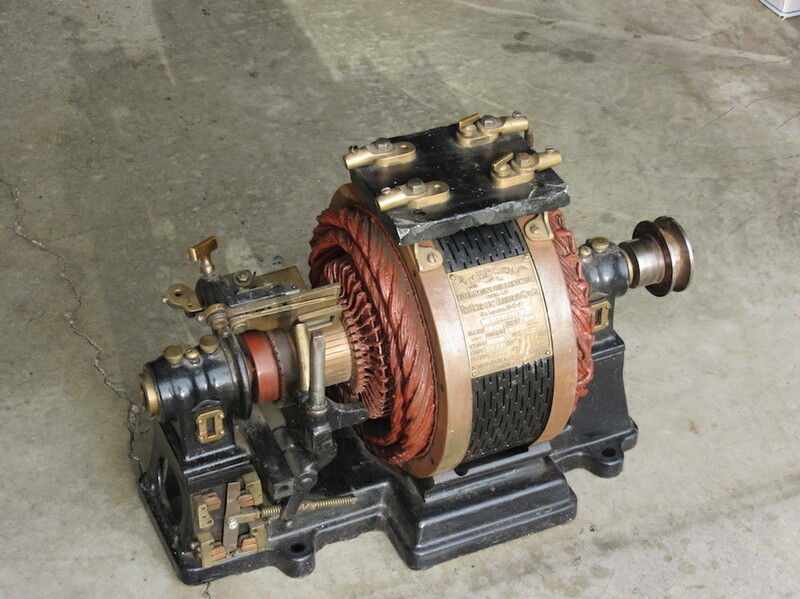 Photos have been added to the "Museum Turbine" section in "Galleries". A new item, "DC Traction" has been added to Galleries, and another new item, "rural/low voltage battery is a work in progress. The "transmission" section is being updated as well. Check out the website, , (http://ephf.ca/). December 22, 2016 is the 125th anniversary of electric light in Edmonton. Our application to light the High Level Bridge in honor of this milestone has been successful. The bridge will illuminate white and yellow starting around sunset and go dark around 1:00 AM. 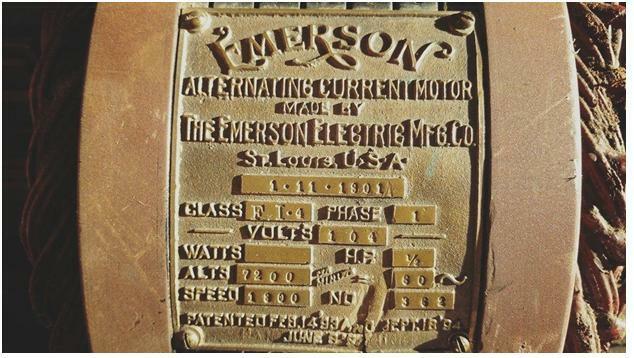 This fall we acquired a 1901 Emerson ½ horsepower electric motor. Apparently Emerson only manufactured 3500 of these motors and that only 15 of these are still known to exist. One is currently on display in the Smithsonian. We have done a lot of work to get this motor to the state its in now. We have had success in getting it to run, but it still requires a little more work. The EPHF Annual General Meeting was held at the Mill Woods Golf Course on October 29, 2015. The first order of business was the election of directors, with Paul Collis, Geoff Wagner, Joe Moran, John Byron and Ed Spezowka being re-elected. LWAS will be hosting the following events. May 21 - Tractor Pull. This event will no longer include a swap meet due to lack of participation. July 23 & 24 - Annual Exposition. September 10 - Fall Harvest & Tractor pull. We require a list of volunteers who are willing to act as tour guides for our event shows and school tours. Three to four guides minimum are required per tour. Could interested members please let Paul Collis know @ 780-471-4285 or email (http://p.collis@shaw.ca). For directions to our site and more information on our museum please visit our website, (http://ephf.ca/).